Businessman Strive Masiyiwa speaks at the 2013 Milken Institute Global Conference in Los Angeles. Kunbi Tinuoye of The Grio is reporting that Zimbabwean businessman Strive Masiyiwa has donated $6.4 million dollars to Morehouse College to send 40 African freshman to the historically black college over a four year period. 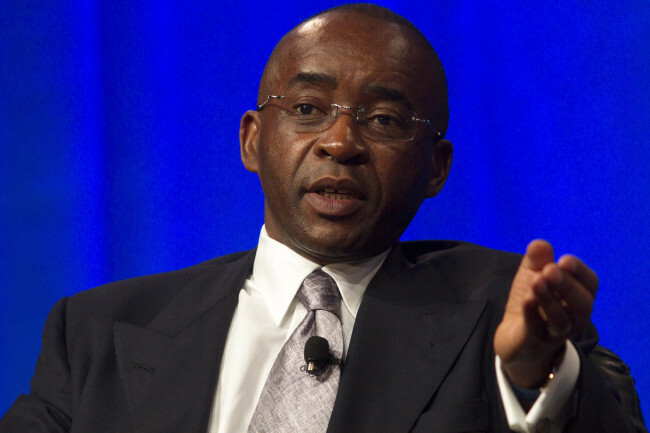 Masiyiwa is the founder and chairman of Econet Wireless, a global telecommunications conglomerate that he started in Zimbabwe. Econet Zimbabwe, a publicly-listed subsidiary company of the group, is the largest mobile phone network in Zimbabwe with 9 million subscribers. Econet also has lucrative operations in Botswana, Lesotho and Burundi, as well as investments in telecom companies in New Zealand and the United States. A devout philanthropist, he is a cofounder, along with his wife, Tsitsi, of the Higher Life Foundation, a charity that provides scholarships and meals to destitute orphans in Zimbabwe. The foundation sponsors more than 30,000 poor children in government-owned schools. In 2014, Forbes named Masiyiwa as Zimbabwe’s richest man. His net worth is $600 million.